Our Deluxe Suites are 56 sqm in size and guests can choose between a king size bed or twin beds. 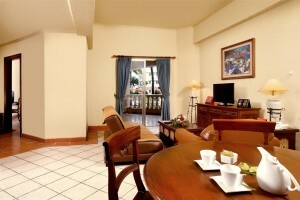 The Deluxe Suite offers the same amenities as the Studio rooms but come along with an additional spacious living room. The living room is set up with a love seater sofa, two single sofas, teakwood coffee table on a Permadani carpet and a round dining table for 4 persons. 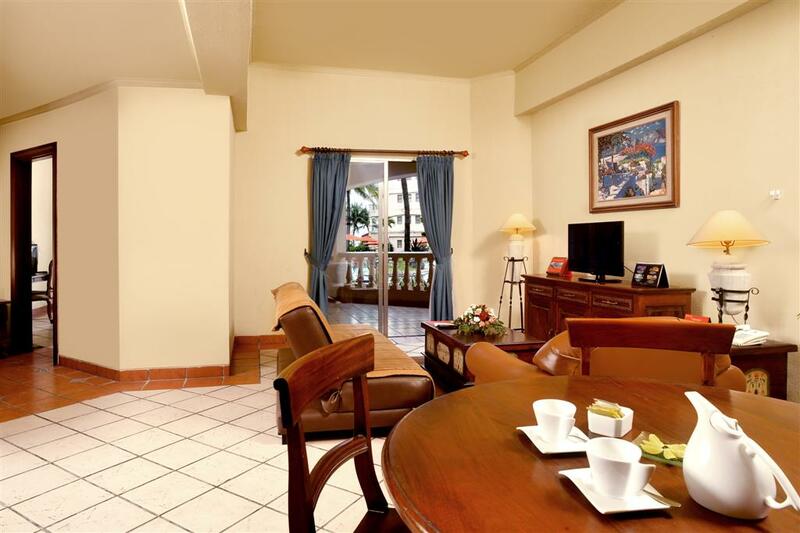 All Deluxe Suites offer a small terrace overlooking the swimming pool or the countryside. This room is ideal for smaller families.